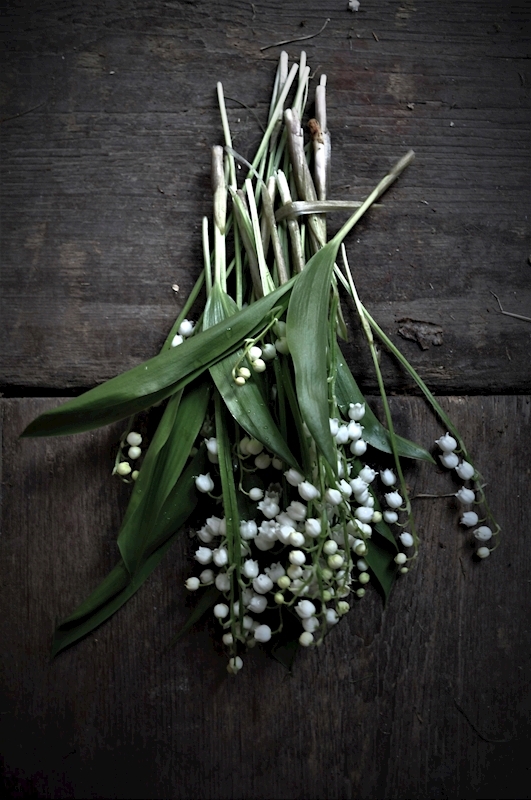 The beautiful and lovely smelling lily of the valley picked under a walk in the woods a early night in june. This picture is of beautiful flowers on darkbrown wood. It would fit in a bedroom or living room as a pop of colour with the flowers.